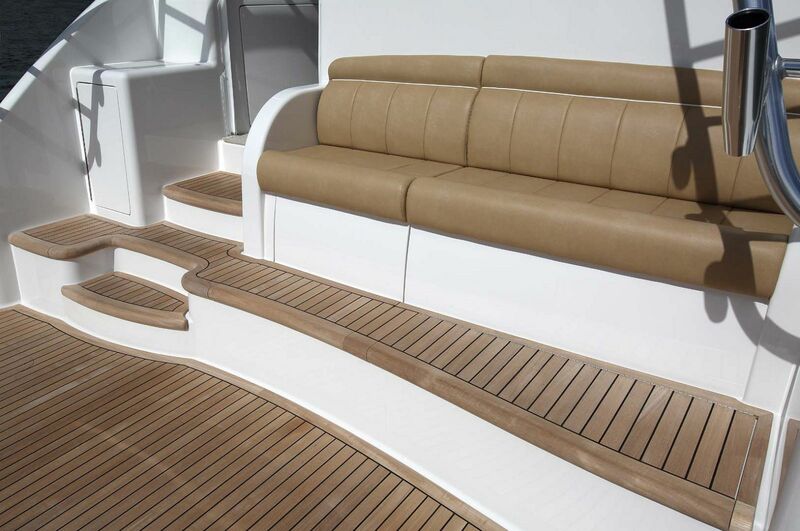 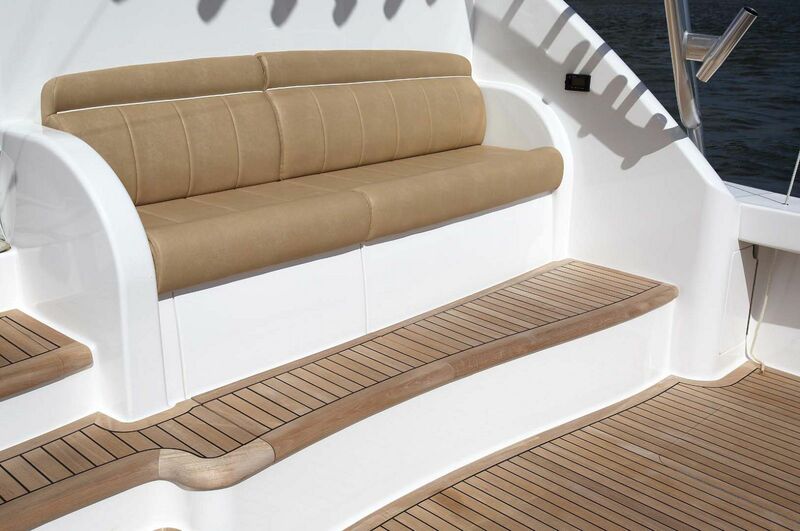 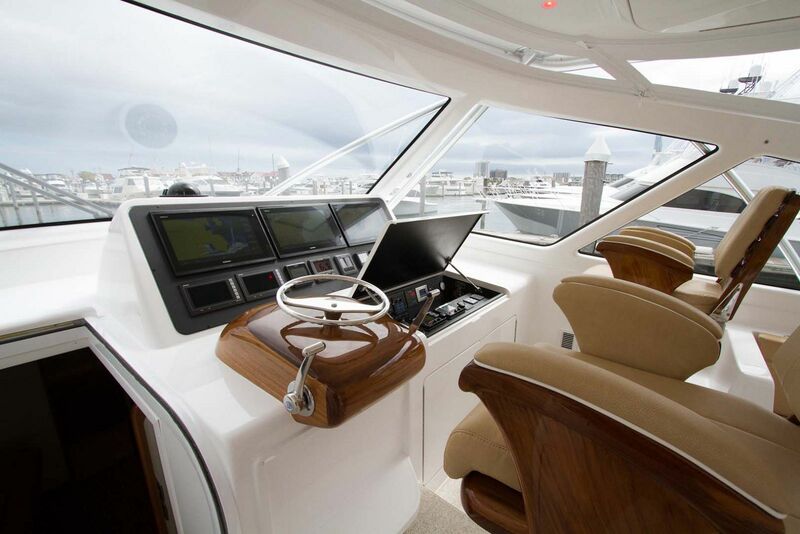 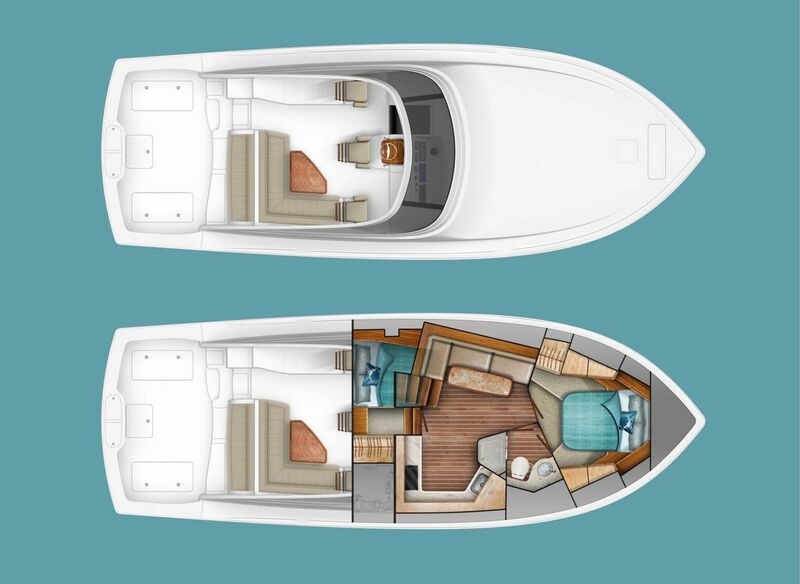 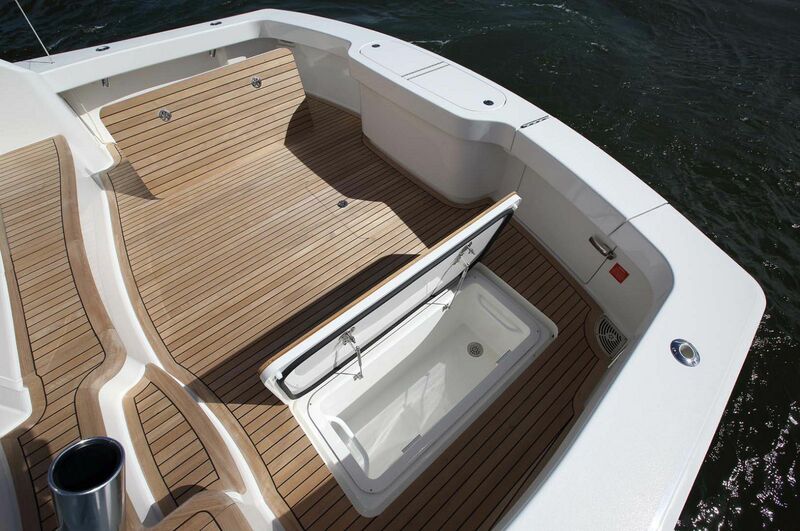 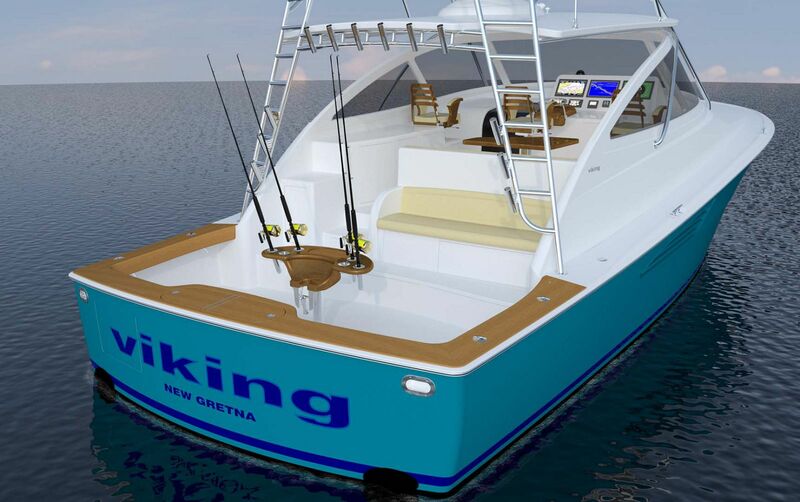 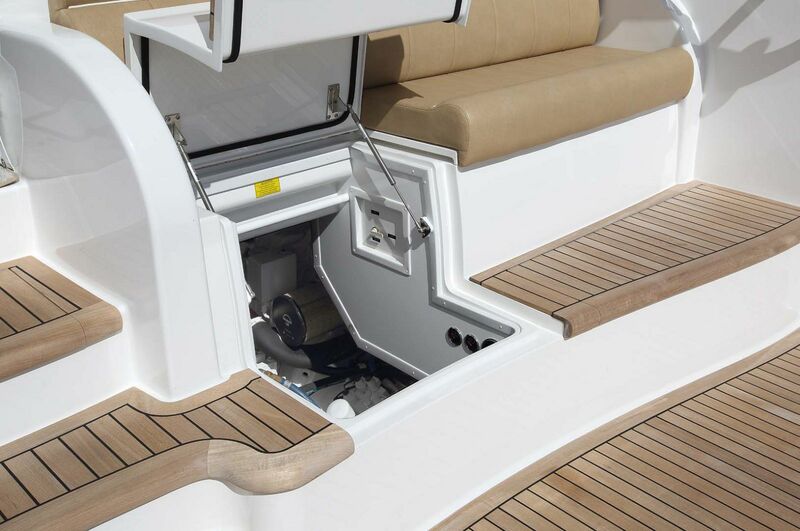 Anglers will appreciate the wide cockpit that stretches 119-square feet including the mezzanine seating which gives guests on board a comfortable place to sit and enjoy the fishing action. 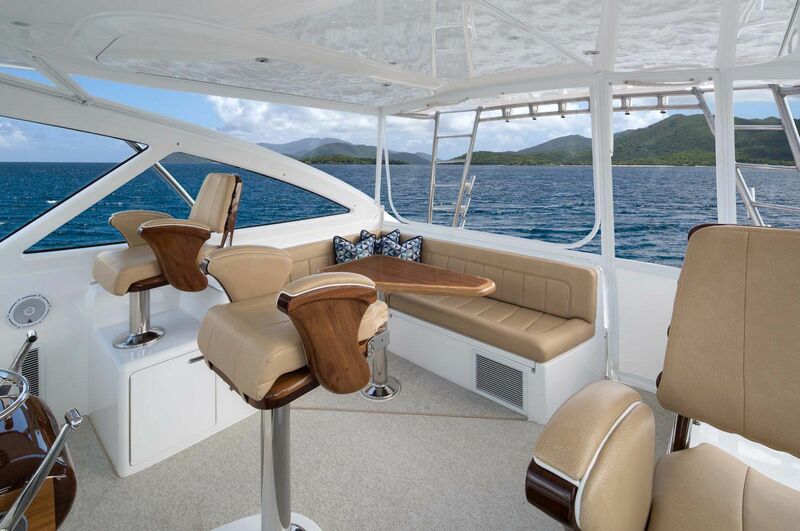 The optional fighting chair can be added to the aluminum backing plate that comes installed which is the final touch on your 44 Open becoming the tournament-ready boat that is sure to put you on the fish. 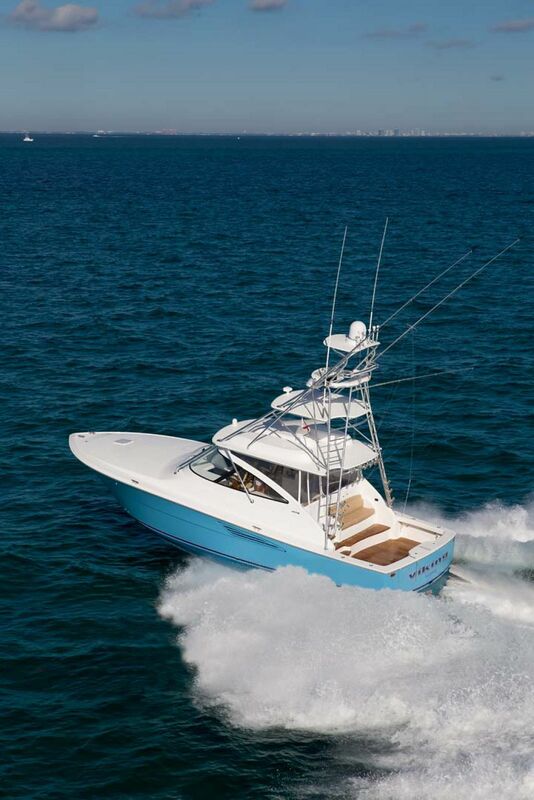 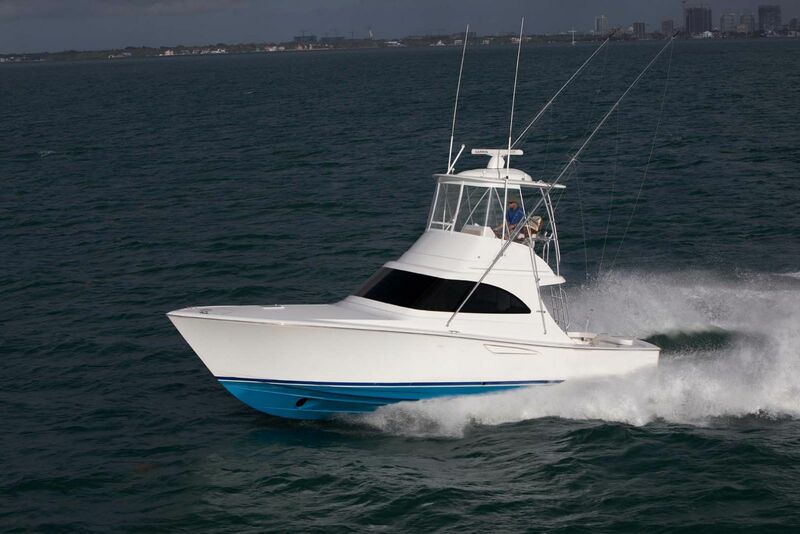 As Viking owners would expect, the cockpit of the 44 is outfitted with in-sole fish boxes, a transom livewell, excellent water drainage, and ample storage for bait, tackle and gear. 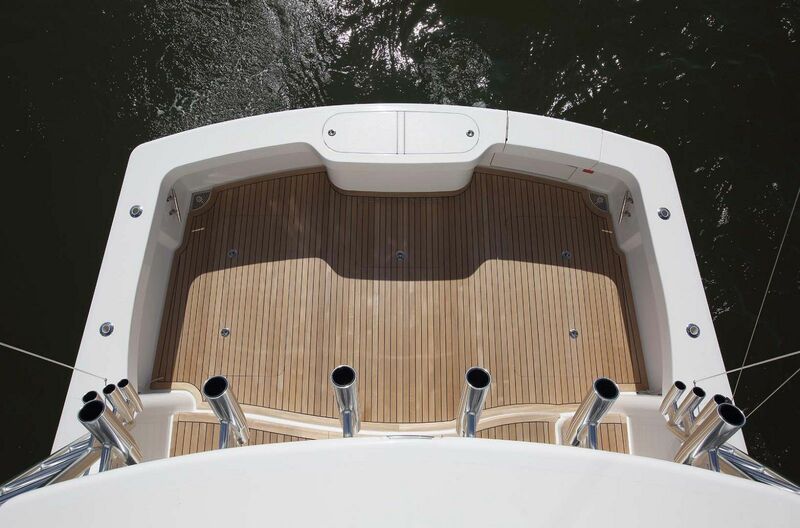 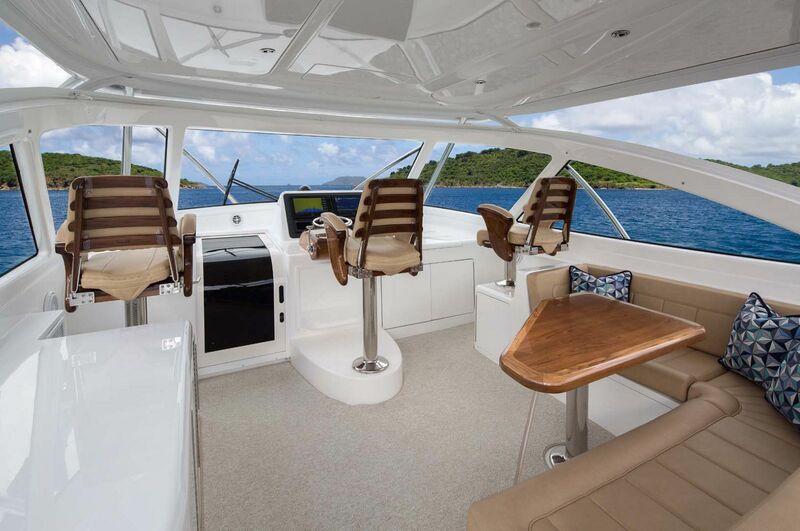 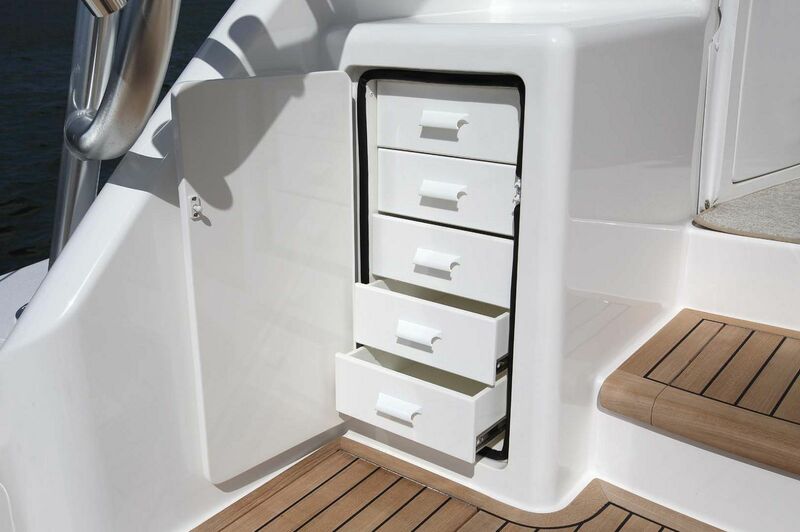 The custom tuna tower from Palm Beach Towers gives the captain an amazing 360-degree view from up top as well as all of the controls needed to run the boat. 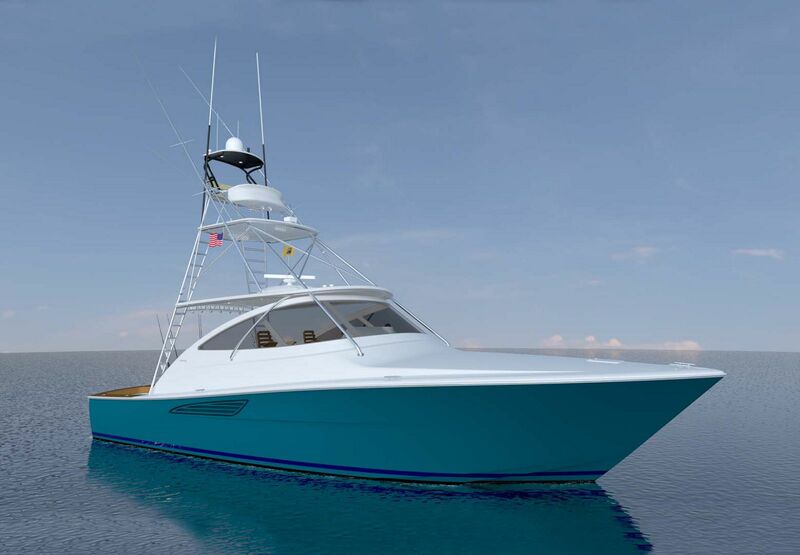 Viking’s other subsidiary, Atlantic Marine Electronics will install all of the electronics on the tower so everything is ready to go at the time of delivery. 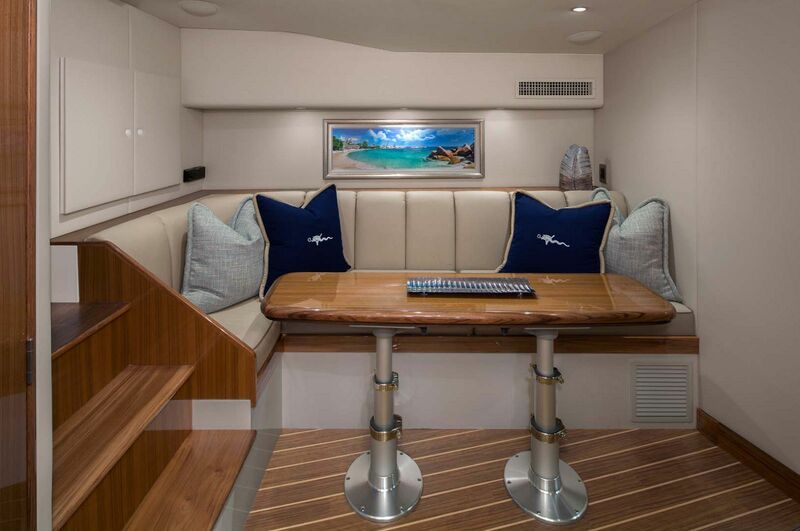 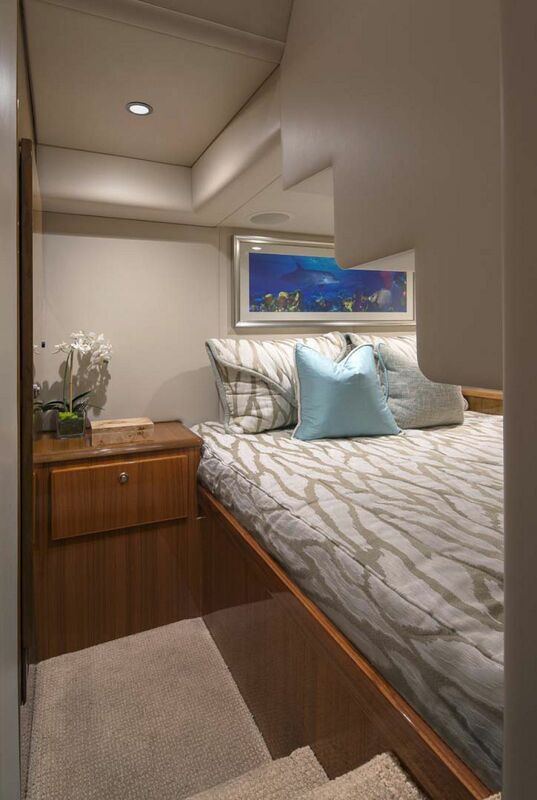 The 44 Open has a 16’ 4” beam which helps to deliver a spacious, climate-controlled salon with luxurious accommodations for a 44-foot sportfish. 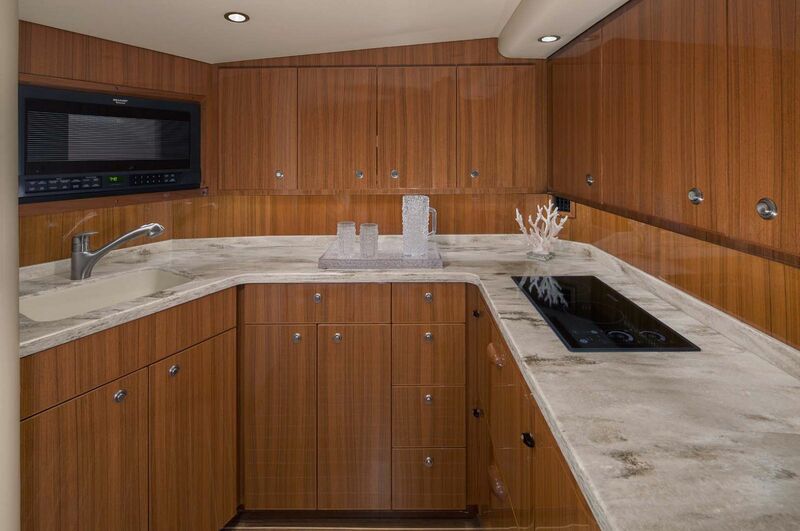 The L-shaped lounge seating and dinette create a great space indoors to sit and enjoy dinner cooked in the open galley. 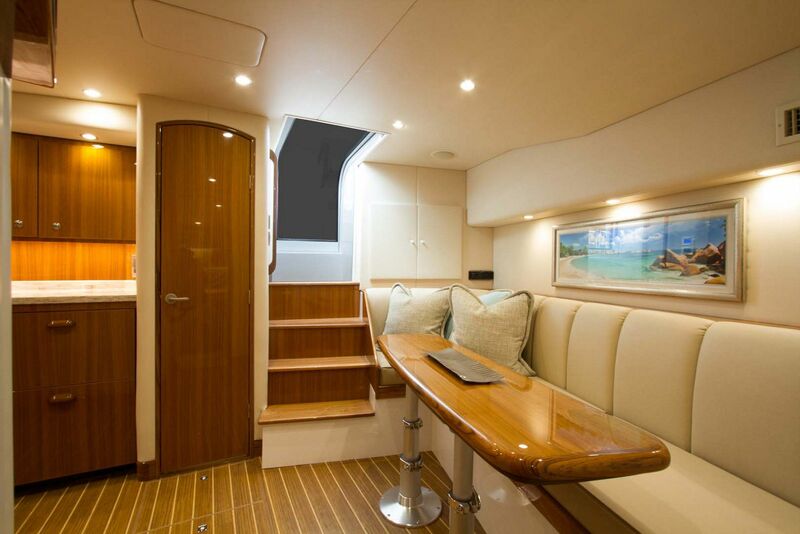 Two adjacent staterooms give the owners and guests comfortable accommodations on extended trips. 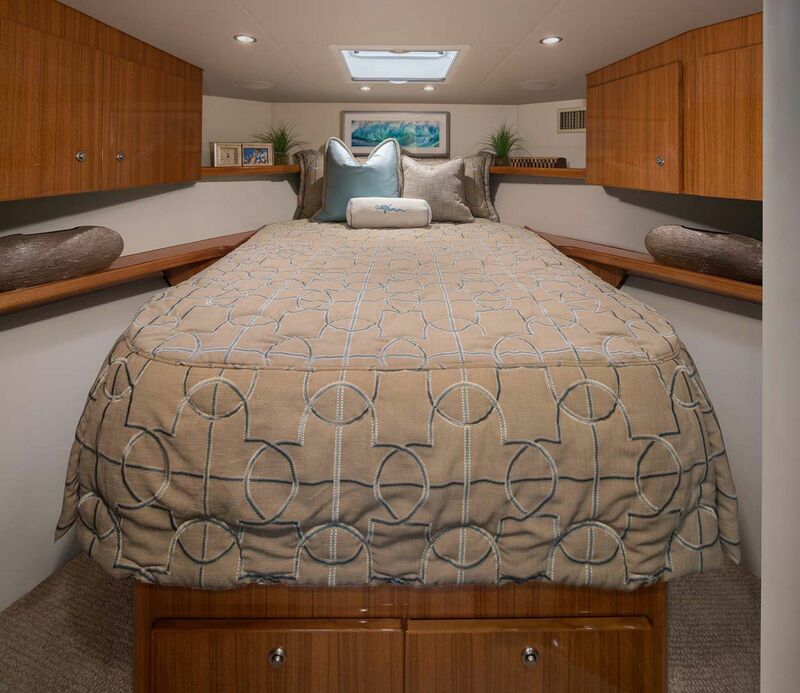 The master stateroom boasts a queen-sized berth with plenty of cabinet storage. 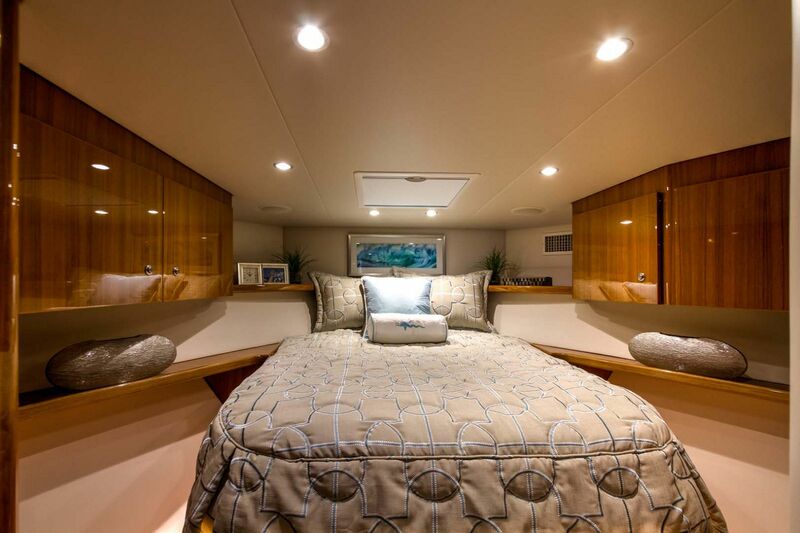 The additional forepeak guest quarters are roomy and also include ample storage. 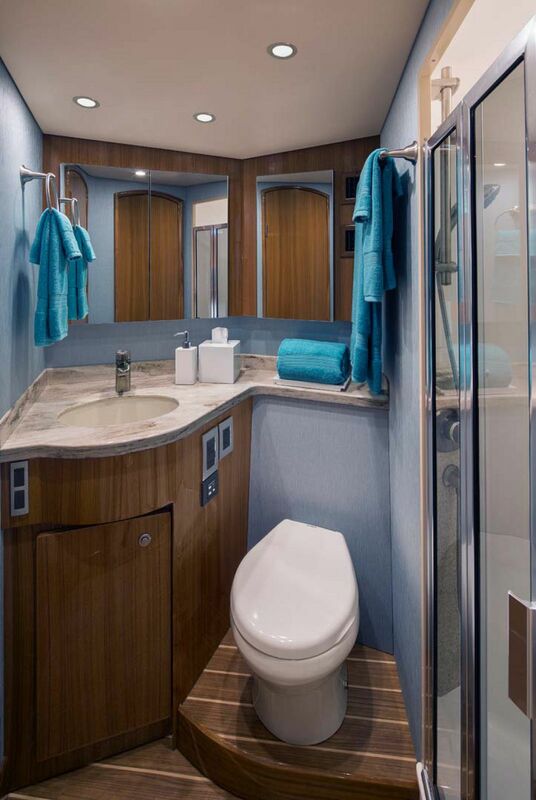 Both staterooms share a head and shower stall that give plenty of space and headroom. 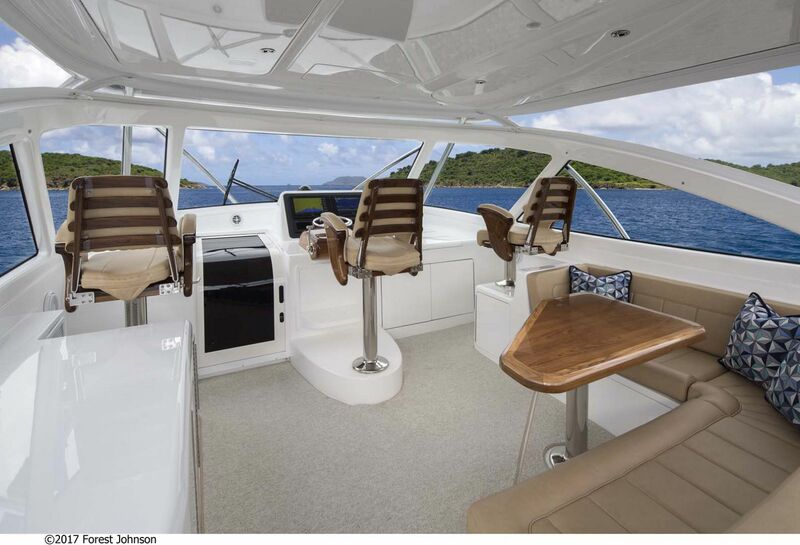 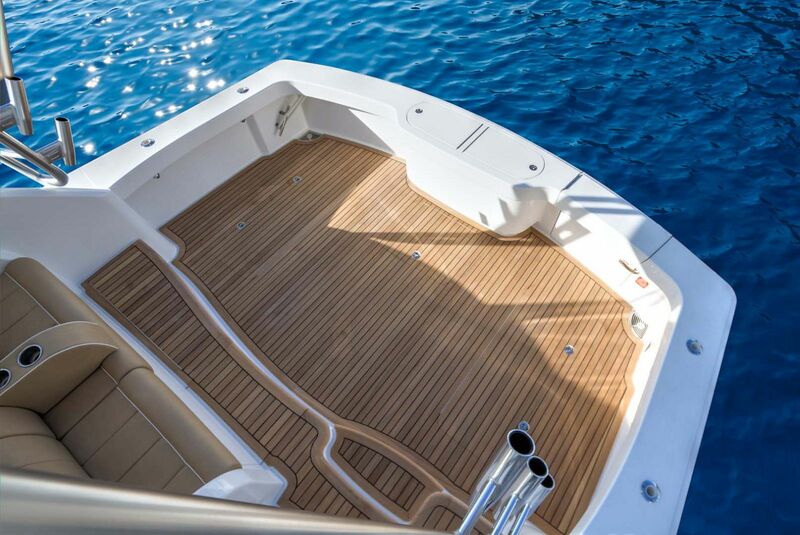 The standard power option on the 44 Open is a pair of MAN I6 800hp diesel engines which give owners a top-end speed of 35 knots and a comfortable cruising speed of 30 knots. 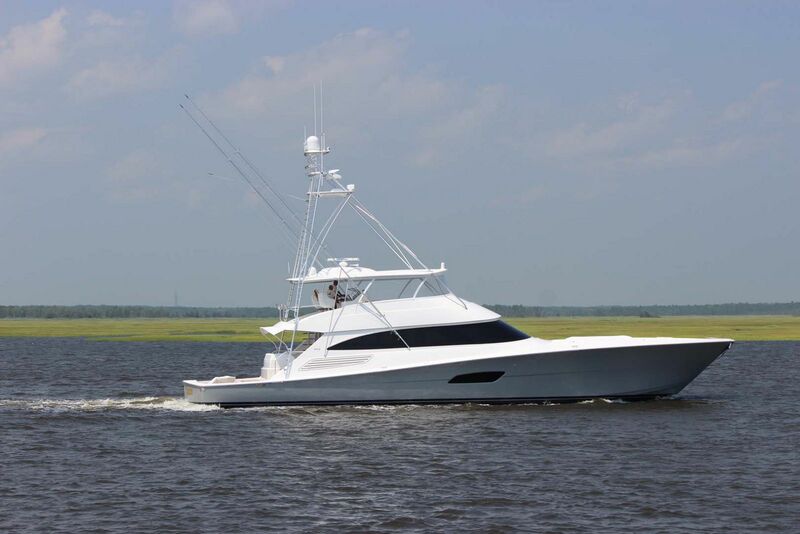 For more information on the Viking Yachts 44 Open, contact your Staten Island Yacht Sales Professional. 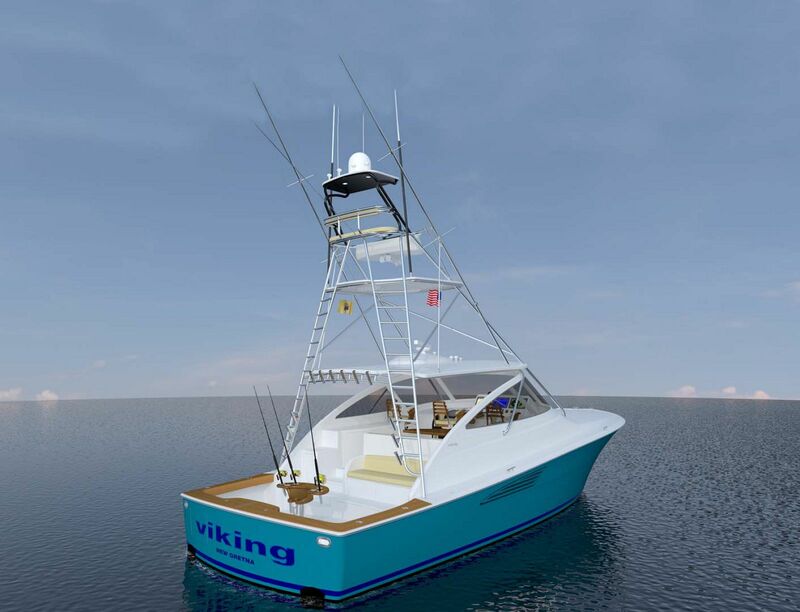 Marlin Magazine reviews the Viking 44 Open. 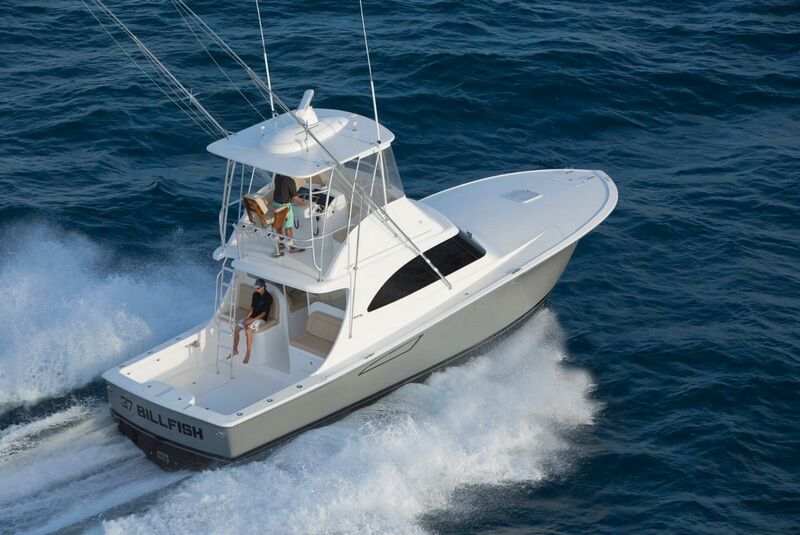 Marlin Magazine puts together a great video review of the Viking 44 Open. 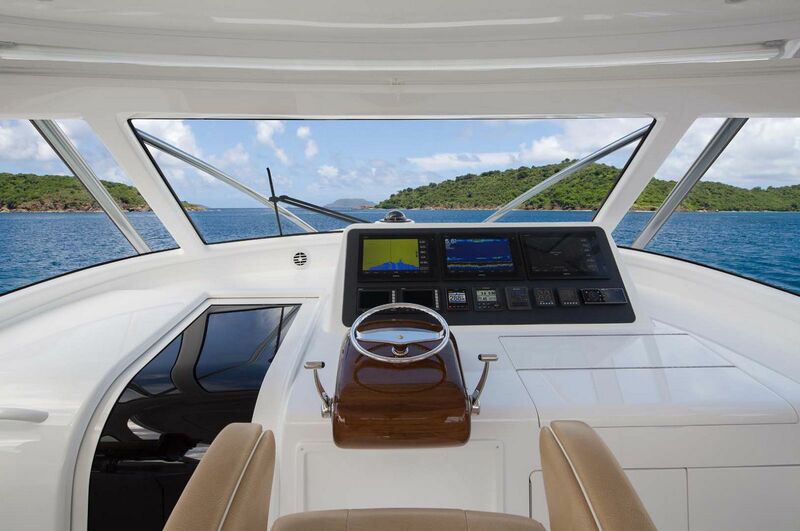 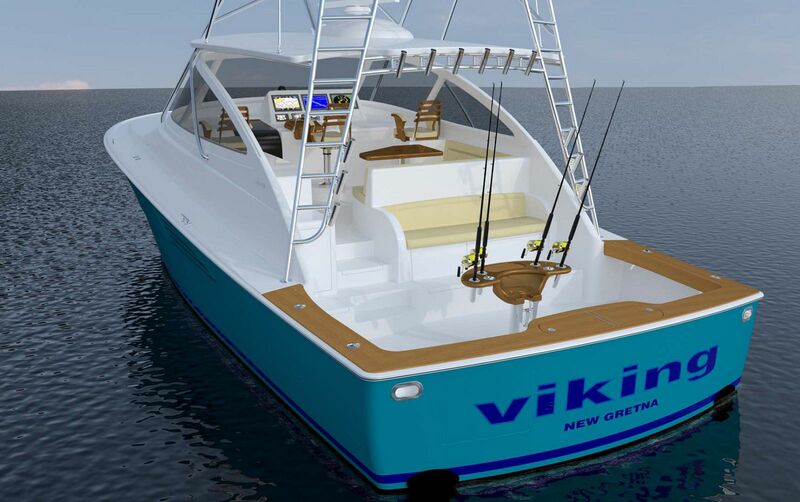 Southern Boating magazine reviews the new Viking 44 Open. 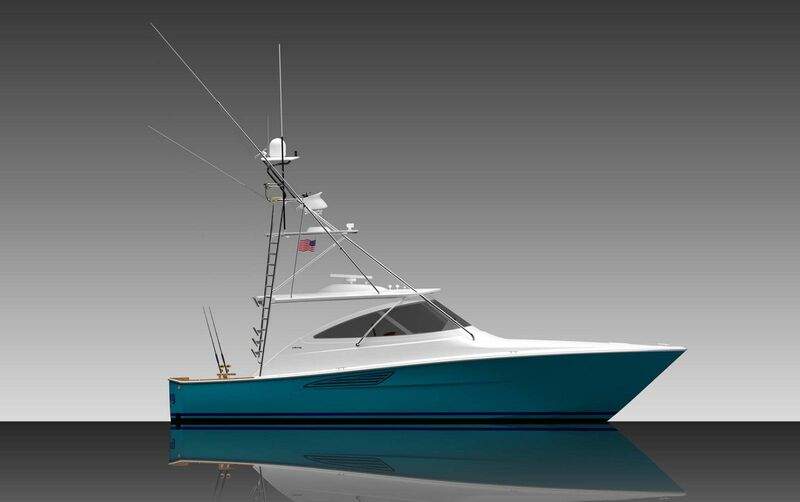 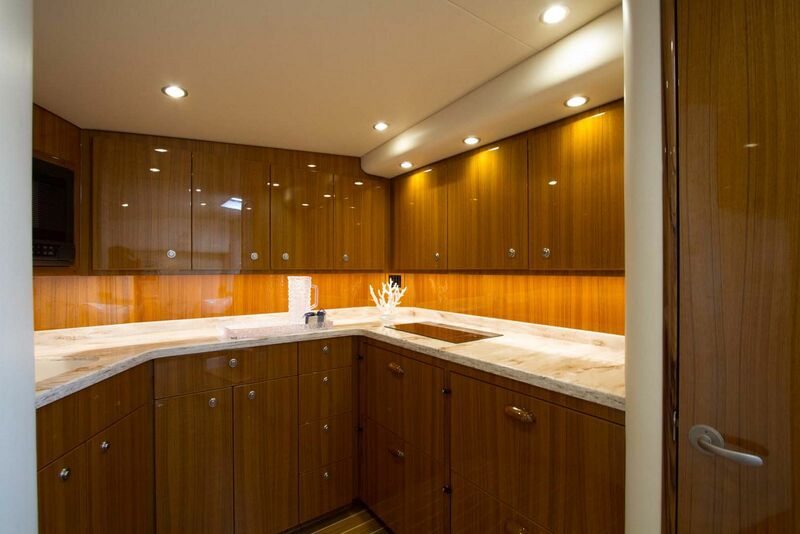 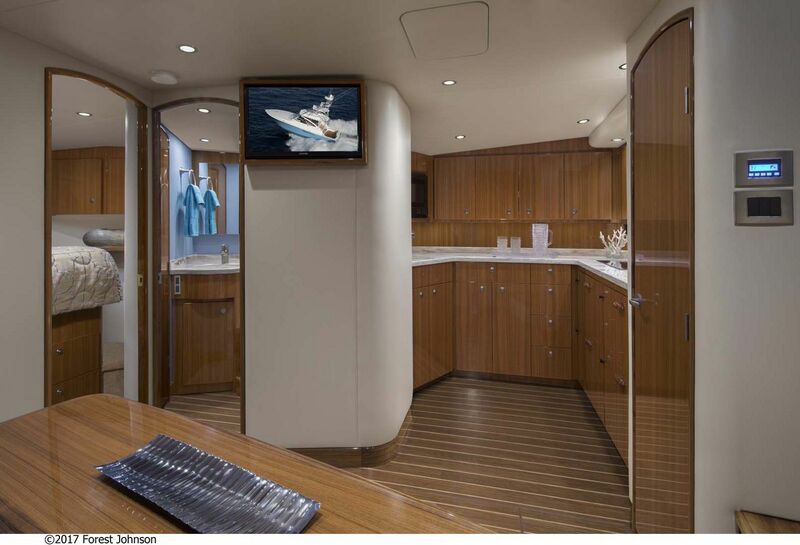 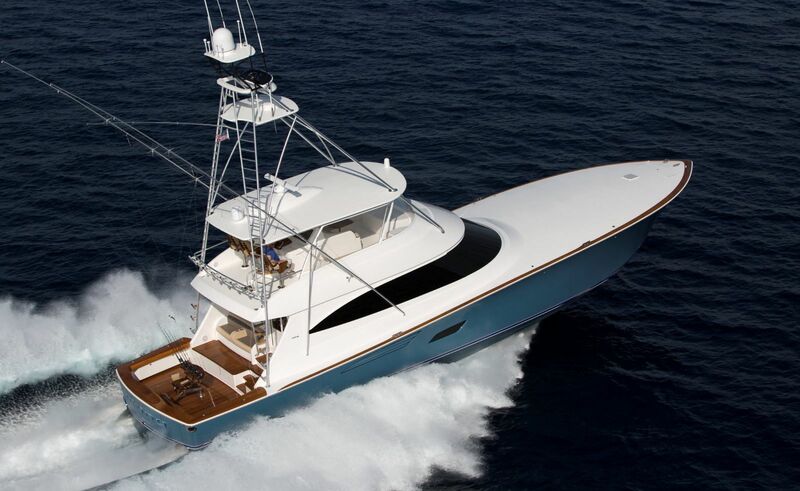 Viking Yachts created this great virtual tour of the 44 Open. 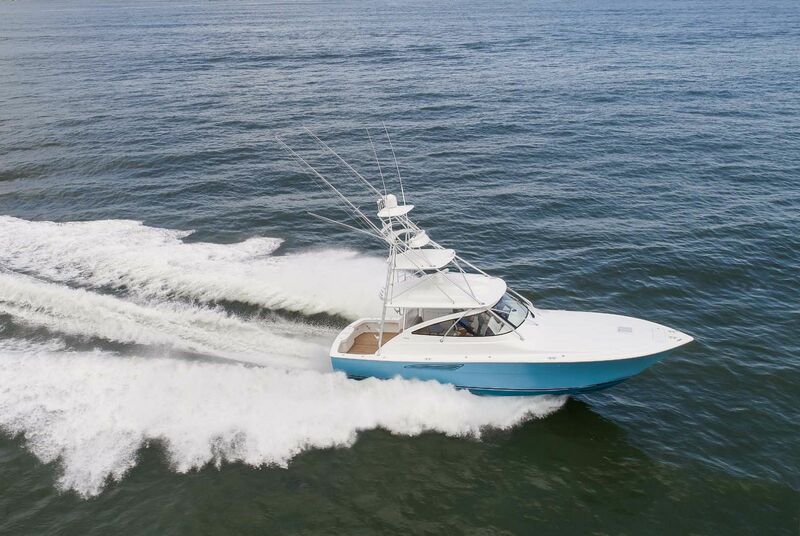 Viking Yachts drone and running footage of the 44 Open.